Before I start waffling on I need to be clear about the intention of this list. I truly hope that there a gems within that create a spark of interest or inspiration for the parents (or contemplative parents) who are fabulous enough to be reading my blog 😉 I want you to take in the information that connects to your heart. This is a personal list. As in this is five things I wish I knew before becoming a parent and not five things everyone should embrace when they become parents…which leads me to Number 1. 1. Take a page from everyones book, then create your own – Parenting is a really personal journey. There is a lot of advice out there and a lot of opinions. I remember scrolling through online parenting forums when I felt like the clueless mother of a new born. They are mine zones!! They have a billion harsh words, opinions and attacks. I actually felt my anxiety rise every time I dared to look for information, it was so confusing and so debilitating. Everyone has their unique set of parenting tools, it is so important to feel confident going with your gut instinct. A mantra I have taken on is ” I strive to be the best parent I can be”. For me this means being open to new ideas and taking time to investigate different approaches (it doesn’t mean I don’t swear into my pillow in the middle of the night when Boston just wants to party). There are tools I have tried along the way that were thrown by the wayside, ones that I feel guilty for considering, then others that are total gems that made me sing to the heavens. Not everyone will agree with the set of tools I use, but I now know I need to do what feels right in my heart. 3. 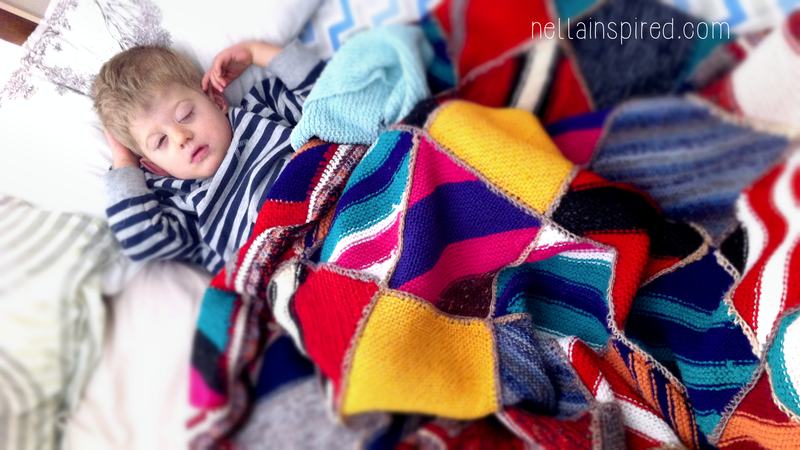 Sleeping with babes – Before I became a parent I could not really see why a baby having their own bed would be a challenge. To be honest Boston was such a peaceful and consistent sleeper for the first six months that co-sleeping didn’t cross my mind. Then he had major surgery and began waking…every hour…screaming. That is when co-sleeping was added to our tool belt. I initially worried that I would be creating a bad habit “oh gosh he will never sleep alone”. My perception has changed and now I can not even see the problem, our baby wants to be close to us… that is actually awesome. 4. 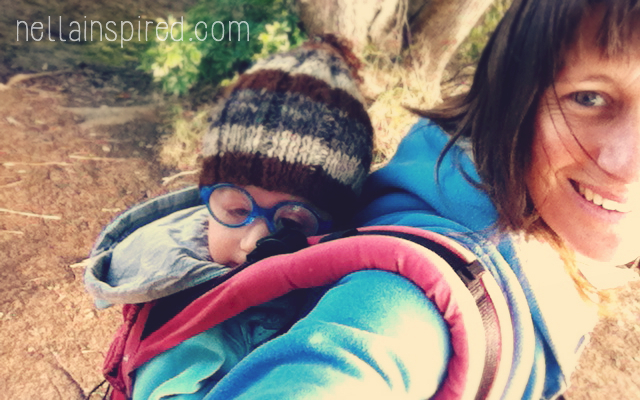 I freakin love baby wearing – Did I know about baby wearing before I had Boston? Sort of. Did I actually consider I should embrace it and do some research? Nope, I was too busy becoming a pregnancy and birth guru (which I do not regret). So my baby wearing journey went like this. We bought a Baby Bjorn, a very well known carrier that isn’t embraced by the majority of serious baby wearers. Boston didn’t like it when he was tiny, then enjoyed it for short bursts as he grew, then about 3 months after that he was too big. Why isn’t it embraced? Well I won’t go into too much detail but Bjorns do not hold babes in an ideal position, in fact for those with a pre-disposition for hip dysplasia they’re a big no no (THIS article has good information). We also have a MacPac carrier, one that is designed for hiking but more for older kiddies, which Boston liked a lot more. I loved going for walks with him sitting in there, especially along the beach, but this pack is a little huge for every day use. When Boston was 13 months old we met a group of mums who had an array of carriers, slings and wraps. Boston was also going through days of just wanting to be held, so my mind finally kicked over and I was like “oh ahhhhh I should probably look into this”. Manduca in winer = snuggle bliss. He was sick this day. We bought a Manduca a week later. Boston loves it. For the first time he actually fell asleep while out walking (an awesome miracle which has been repeated many times). It is also freakin fantastic when he is feeling cuddly or is not well. I pop him in at home and toddle around doing the dishes and laundry. I am actually at the point now when I practically never use a pram, when I do I feel really disconnected. When we are out and about at the markets, whooshing through the shops or taking a scenic walk I love knowing Boston is so close. I know instantly when he is upset and I always know he is safely attached to me as we dodge people and cross roads. So I must apologise for the rant and get to my point. I wish I had tried more carriers from the start. There are so many options to suit different people and baby wearing is now one of my favourite parenting tools. 5. It really really does take a village to raise a parent…oops I mean child – You will hear this over and over, mainly in your own head, but I just had to include it in my list. The world has become such a small place. We are instantly connected to our global community with just a few clicks of a mouse. There is endless information streaming at us at a rate faster then the speed of light (not exactly a scientific fact) and with a tap of our finger we can speak to everyone we know. But here is the messed up part…we are physically disconnected. We live in houses on streets where our neighbours are all strangers, our families are generally dotted around the country (or globe). Our village of friends all have their own lives that revolve around many commitments that are totally different to our own. And… you can not parent through a computer soooo where does that leave us. Parenting in westernised society can be very lonely. I am really lucky to have my mum and dad so close. For the first six months we all practically lived together. When Boston was just two weeks old my gorgeous man commented “how do people do this without at least a third adult?” At the time we were blessed to be focusing all our energy on being new parents while mum cooked and cleaned. And let me tell you seeing the joy Boston brings his grandparents is priceless. But as lucky as I am I wish I also had the rest of our family close, including all our wonderful cousins who have children close to Boston’s age. How wonderful it would be to have mums and dads that I know and love all so close to us. So that every day we could share our experiences not just over facebook but over a cup of tea. This actually makes me very sad. And I have also realised I need a whole separate post to really explore this. So by golly if you do not have a “traditional” village around you then CREATE CREATE CREATE. I am not even close to having the village I dream of, but we’re getting there. You need people around you, to hug you, to tell you everything is okay, to babysit while you take a nap, to cook you dinner, to walk the dog, to pull you up when you feel like the poop filled diapers you are changing all too often. So yeah parents need a village, that was not really a mistake. 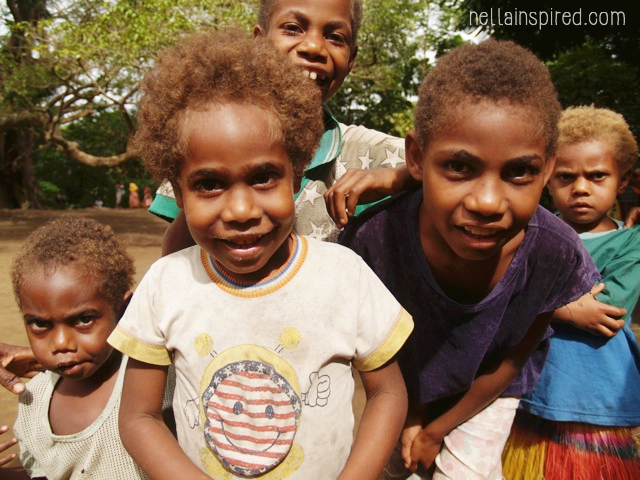 Children need a village too. They need more then just their parents to mould their view of the world. They need the unconditional love of grandparents, the strong role model in a positive uncle, the warm hugs of a family friend who bakes delicious muffins and listens to problems without judgement. I could go on and on and this probably makes little sense because it is the tip of an iceberg, hopefully I have time to explore under the water sometime soon. __________________________________________________________________________ Sooooo this is my list. What do you think? Do you have a list of your own? Nell!!! I love this! I’ll give you hugs! I won’t do anything with the poop filled diapers though… because I think Boston’s onto something better now (EC rocks).